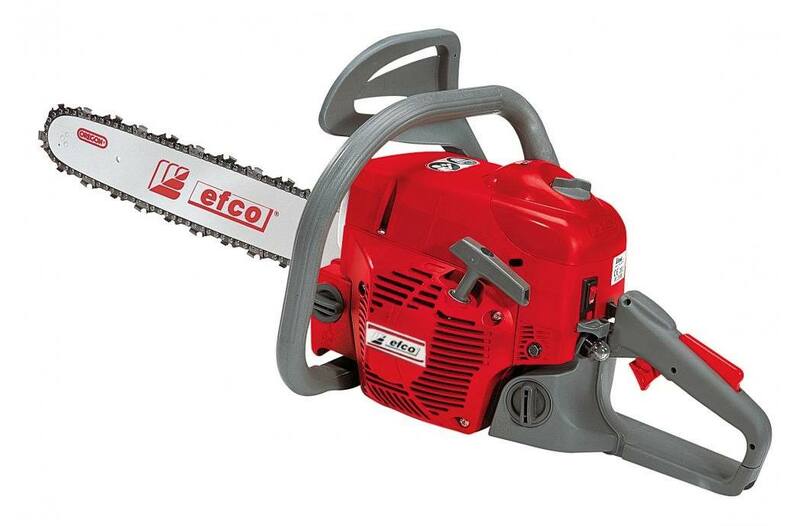 2018 efco MT 5200 20"
The efco MT 5200 is a mid-size chainsaw that was designed for the more demanding user. From farming to tree service to frequent firewood cutting, the MT 5200 chainsaw provides the quality and cut that you need. Variety of bar & chain sizes to cut through any tree. Available in 16", 18" and 20". 5 point anti-vibration system for increased operator comfort. Decompression valve for effortless starting. Later chain rensioner that simplifies tensioning adjustments while avoiding any risk of contact with chain. Simple maintenance with tool-free twist knob on filter cover. Bar Length: 16 in., 18 in., 20 in. Chain (pitch x gauge): .325 in. x .050 in. or .058 in. Oil/Fuel Capacity: 9.13/16.9 fl. oz. *Weight does not include bar and chain. 16 in., 18 in., 20 in. 2018 efco MT 3500 S 14"
2018 efco MT 3500 S 16"
2018 efco MT 3750 14"
2018 efco MT 3750 16"
2018 efco MT 4100 SP 14"
2018 efco MT 4100 SP 16"
2018 efco MT 4400 16"
2018 efco MT 4400 18"
2018 efco MT 5200 16"
2018 efco MT 5200 18"
2018 efco MT 6500 16"
2018 efco MT 6500 18"
2018 efco MT 6500 20"
2018 efco MT 6500 24"
2018 efco MTT 3600 12"
2018 efco MTT 3600 14"
2018 efco MTT 3600 16"